Keep it clean, keep it clear! That’s the message from Lancashire Fire and Rescue Service as part of its new cooking fire safety campaign. Whether it’s turning on the wrong dial or accidentally leaving the hob or oven switched on after you’ve finished cooking, simple mistakes can have devastating results. Ensuring you have a clean and clear cooker hob and oven can mean the difference however between a fire breaking out or not. Around half of all accidental house fires that fire and rescue services attend each year are cooking related fires. Research carried out by Lancashire Fire and Rescue Service shows that many have been caused as a result of occupants storing items either on cooker hobs or inside ovens. 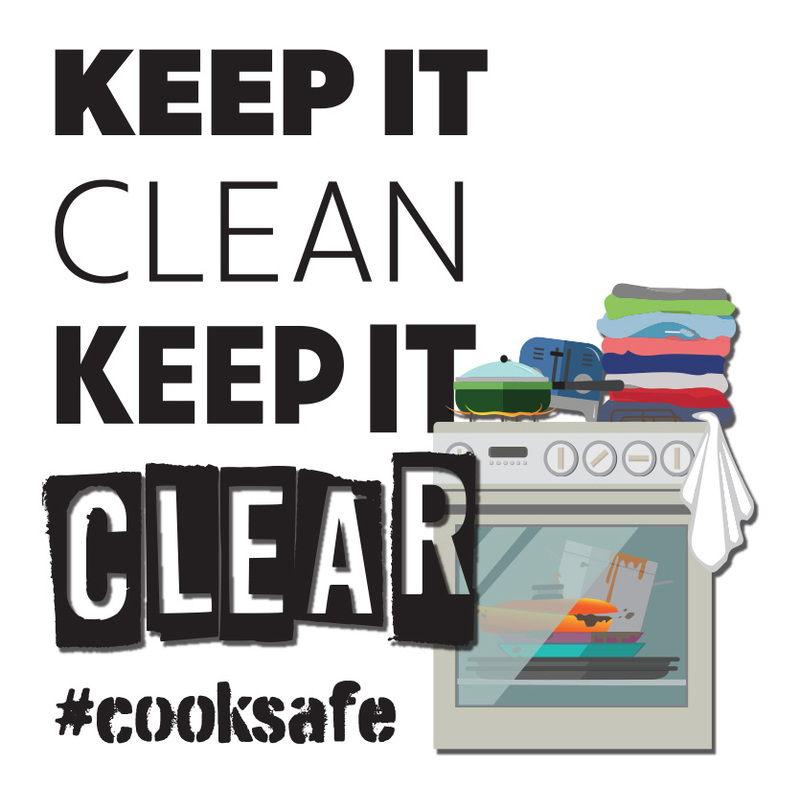 This latest theme forms part of a larger Cook Safe campaign for 2018 which began back in January with ‘Distractions could be Disastrous’, later moving on to address the issue around ‘Loose Clothing’ and cooking, particularly for Muslim members of our community during the fasting month of Ramadan. This latest campaign message comes with a clear plea to members of the public: take action – Keep it Clean, Keep it Clear! So this autumn, forget the spring clean, let’s get that cooker clean and clear. Together we can help reduce cooking fires in the home. To access our Home Fire Safety Check service click here or call 0800 169 1125.